What started as my lonely little space on the world wide web has integrated into a community of bloggers-turned-friends, rather fast. Well, virtual friends. It took me a while to realize that the blogosphere is full of some amazing people, writers, acquaintances, readers, visitors, even stalkers! I am very honored and rather touched to receive my first ever set of blogging awards today, from a fellow blogger, Nikhil. Thanks Nikhil! Blogging friends forever indeed! Honestly, I’m not too sure what the 2nd award implies. Oops, honesty I suppose. I’ve seen such blogging awards on some blogs I’ve visited in the past, and today, when I finally became a recipient, I started to explore the origin of these awards. Unfortunately, I couldn’t find much, except the blogs of fellow award winners. So now, I’m quite convinced that someone, somewhere, woke up one morning and thought of creating a way to appreciate the efforts of bloggers who kept him entertained on mundane days, informed on busy days, and connected on lonely days,. A way to strengthen blogging bonds among blogging friends in the blogging space. What a noble thought, Mr-blogging-awards-creator. – Only 5 people are allowed to receive this award. – 4 of them must be followers of your blog. – One must be new to your blog and live in another part of the world. – You must link back to who ever gave you the award. Aadil, whose poetry inspires me. Neilina, whose words are innocent and honest. Akanksha, a childhood friend who I reconnected with on the blogosphere. I was not knowing my words appear to you as ‘innocent’ and ‘honest’ 🙂 Thank You! Well, this is also my first award. That’s nice. 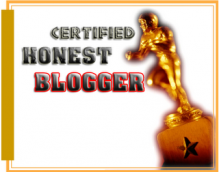 I didn’t know they had awards for blogs . You should have posted a Thank you Speech for the awards. “I would like to thank the academy ” … lol. Congrats !! So very thanx, Shivya! I’m really grateful to know that you’re finding my poems inspirtational. I’m happy I’ve got a blogging buddy who herself is very talented and mature in her thoughts. it’s so heartwarming to see bloggers still appreciate each other and blogging just for the sake of blogging. being in the blogosphere for years, i could say it’s quite disheartening to see too many people with too high expectations for blogs and of course, those blogs that are only built just for making money. this is what blogging should be. at least according to me. carefree, and fun. it’s too stressful to maintain your content and whatnots just to cater to web citizens. It’s hard, and tiring. Acknowledging blog friends is a very nice thing to do. Keep it up. Be friendly and don’t fall into deep abyss of another realm of blogging. Sorry for the long post. Just to make sure that you’ll be ready for the cruelty of the online world. thanks girlfriend 🙂 I appreciate the awards 🙂 And i’m delighted to reconnect to you via your blog! Previous PostIs college education over-rated?